The typewriter. The phonograph. The flip phone. Human technology is constantly moving forward, and as it does many things once on the very cutting edge get left in the dust. Yet, for entirely valid reason, you'll find that many still prefer the old way. The flip phone is durable and can go days without charging. Vinyl records have a crisp, clear sound quality. Typewriters make a really satisfying noise when you press the keys. Still, it's hard to deny that their replacements (smart phones, smart phones, and smart phones, respectively) are simply more powerful and versatile. So, for the new machinist, the question then comes up: what exactly makes a CNC machine so good? And what are the advantages to sticking with a manual machine? Today we're going to explore just that question. Developed in the 1950s, CNC is an innovation which allows machine tools to move automatically, guided by motors and computer code. Typically the machinist creates a CAD design on a computer and feeds it into the machine, which then shapes the piece of metal into the desired form. This technology exists for every sort of tool, from CNC lathes to 5-axis machining centers. A common misconception is that due to this, CNC machines do not allow for improvisation or trial and error. Actually, with proper knowledge of G-code(the base code on which almost all CNC machines operate) or the front end user interface that your machine uses, you can manipulate the tool on the fly without having to go back to the drawing board, with no more difficulty or time than a manual machine. 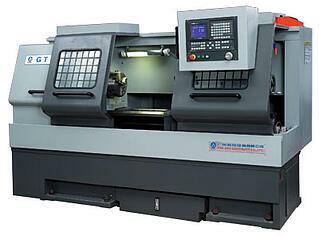 CNC machining brings innumerable advantages over manual machining. While a CNC machine will typically be a bit more expensive than a manual, it'll more than make up for it in time and manpower saved; with a set of CNC tools, one man can easily do a job that would've required six on older machines. CNC machines also come with greater precision and versatility than a manual machine, making complex cuts that wouldn't otherwise be possible. To be honest, beyond personal preference, there really aren't many advantages to a manual machine these days. While yes, they are usually cheaper, a low end CNC machine will still vastly outperform a similarly priced manual machine, and in addition most hobbyists and smaller businesses opt to purchase used CNC machines to save more. The main reason one would want to choose a manual machine is experience. A seasoned machinist trained on manual machines will of course still outpace a novice with CNC. If you were born with a handcrank in palm but still don't know how to set your DVR, you'll probably still be better suited by a manual machine, and with enough skill and specialized tools, you can probably make most of what a CNC could. If you're just learning though, or even if you're simply open to new experiences, a CNC will bring you far greater efficiency, versatility, and profit. The fact of the matter is, if manual machines are a better fit for you, you probably already know that. 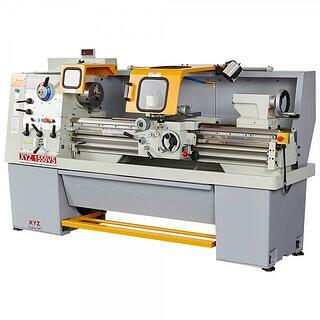 If you are inexperienced enough to be asking which type of machine is better for you, the answer will be CNC in almost every case. If you're looking to get started, MMI offers a variety of affordably priced used machines, both CNC and manual.